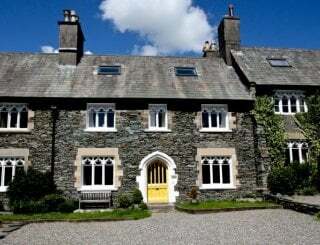 St Marks Stays, Cautley, Sedbergh, Cumbria, sleeps 5-10 in 5 bedrooms. 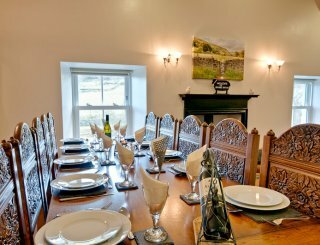 Enjoy our unique, spacious house for up to 10 people in the stunning landscape of the Howgill Fells where you can self-cater for yourselves, or have Damian and Joanne help organise things for you as your live in hosts. St Marks Stays is a home from home, with 5 en suite bedrooms. 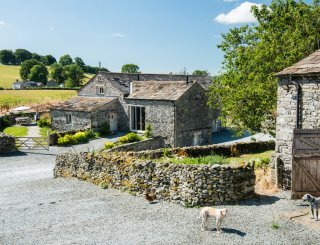 All rooms have gorgeous views of the surrounding countryside and en suites with showers to freshen up in after days spent walking, cycling, climbing or your chosen activity in the stunning Howgill Fells, Yorkshire Dales or Lake District. A grand entrance hallway with sweeping staircase leads to the first floor bedrooms. The kitchen is the new heart of the home and that’s how we want you to feel at St Marks Stays. Our contemporary fitted kitchen with fabulous window views is open for your self-catering requirements where you can cook together, mingle, learn new recipes, or even dance round it. There is a wonderful Aga and a double electric oven and gas hob. There is also a fridge-freezer, microwave, dishwasher and access to the washing machine and drying facilities if we are in. Supermarkets do deliver here. 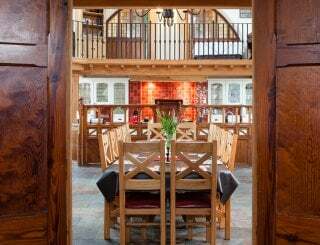 Our fabulous dining space is perfect for dinner parties, seating up to 12 people, with large windows and patio doors offering views across the garden to the hillside beyond. Two separate lounges give plenty of relaxation space to chill out, or watch TV, with access to our DVD/Blu Ray and book collections. The games cabinet has everything from Pictionary to Pie Face and our CD collection is varied enough to suit most tastes. Bluetooth speaker also available. We also have a huge studio space available for courses, creative activities, or yoga and meditation. 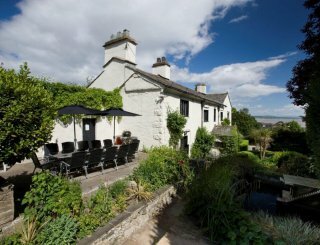 Or just sit back in our fabulous garden and enjoy the views from the comfort of St Marks Stays. We're right in the heart of the countryside so you can enjoy your chosen tipple and watch the sun go down over the beautiful Howgill Fells and stay warm in the evening around the fire pit or barbecue. 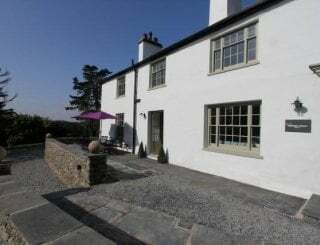 We share the huge house and communal kitchen and living areas with our guests and are uniquely on hand throughout your stay to help in any way, but don't worry as we are friendly people and give our guests space as needed. Double AGA, gas hob, electric oven and microwave. There is also a fridge freezer, dishwasher, coffee machine and access to washing machine. A fabulous dining room awaits seating up to 12 people with stunning views. Perfect for dinner parties and evenings spent playing games. There are two cosy living rooms, both with TVs and open fires. 2 TVs (one being a huge 61") both with DVD players. You have access to our DVD and CD collection or you can link to the Bluetooth speaker. WiFi access around the house. Mobile reception is generally restricted to EE, but you can use our landline for calls if needed. Selection of card and board games for use within the dining room which is perfect for group games. Central heating throughout and open fires in both sitting rooms. All 5 bedrooms are en suite and have fabulous views. 4 bedrooms can be made up as either twin or double beds, and 1 room contains a triple bunk bed. All bed linen, towels and soap is provided as part of your stay. 5 en suite bathrooms, all with showers and one having a bath with shower over. There are no ground floor bedrooms. There is a large ground floor toilet, and generally the house is spacious and stairs wide and easy going. Fabulous large garden with views of the fells. 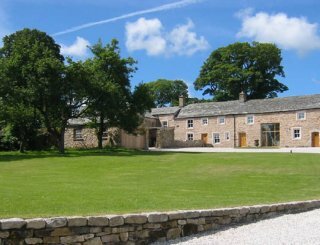 External seating areas, barbecue facilities, fire pit and the ever popular rope swing. Parking for up to 7 cars on the drive and more if needed in the adjacent lay by. There is no smoking within the house, but you are free to smoke outside. We love a fur ball so all well behaved dogs are welcome. The garden is great and adjacent access to the fells is perfect for walks. Located on A683, diagonally opposite The Church of St Mark in Cautley. 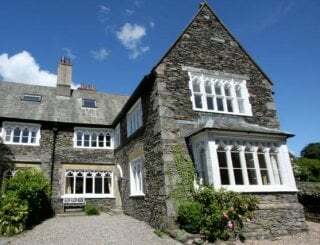 A few minutes drive from Sedbergh, 10 minutes from Junction 37 of the M6 or 20 minutes from Brough on A66. In Yorkshire Dales. 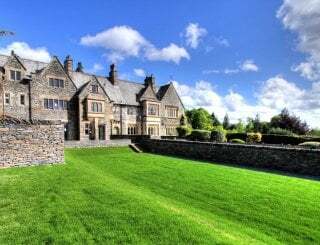 Sedbergh is the nearest town, 2.5 miles away. 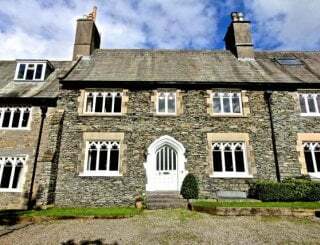 20 minutes drive from Kendal, Kirkby Lonsdale or Kirkby Stephen. Nearest shops (Spar, greengrocer, butcher) are in Sedbergh 2.5 miles away. 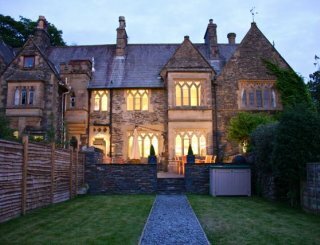 Sainsbury's, Asda and Tesco all deliver to the house and we can be in for your delivery ahead of your stay if arranged. 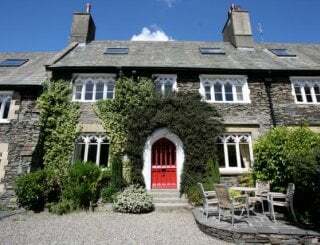 The Cross Keys Inn (Temperance Inn) is 1.5 miles away, and there are pubs and restaurants in Sedbergh about 2.5 miles away. We can send a list. There is a minimum stay of 2 nights. 25% deposit required at time of booking, with balance due one month prior to your stay. A £500 security deposit is required. 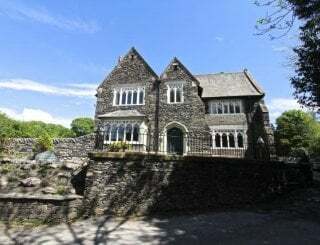 Oxenholme Mainline Station near Kendal, just 20 minutes drive away from St Marks Stays. Nearest bus stop is in Sedbergh. Taxi companies can be booked. Leeds Bradford 64 miles. Liverpool 95 miles. Carlisle (opening Spring 2019) 57 miles. We still have the last weekend in April free (26 - 27) and midweek days free throughout the month of April.